Sahil Vakil grew up in Mumbai, India. He studied to be an engineer, receiving his Bachelors in Electrical Engineering (& Computer Science) from the University of Mumbai, and a Masters in Electrical (& Aerospace) Engineering from the University of Southern California. He hoped to land a coveted job at NASA; but post 9/11, job openings for immigrants in the aerospace industry were few and far between. Sahil quickly pivoted, and was fortunate to land his first job as a Management Consultant at Ernst & Young, where he served various industries, including the Aerospace industry. While on the job, Sahil admits that his first few months were difficult, "I didn't know what a Balance Sheet or a P&L were - c'mon, I was an engineer!". To overcome his knowledge gap, Sahil decided to self-study for and obtained the CFA charter. He was fortunate to pass all three CFA exams on his first attempt; a feat accomplished by less than 7% of all CFA charter applicants. After 4 years at EY, servicing Aerospace clients, Sahil was presented an opportunity to transition into a Financial Services consulting role at Deloitte. 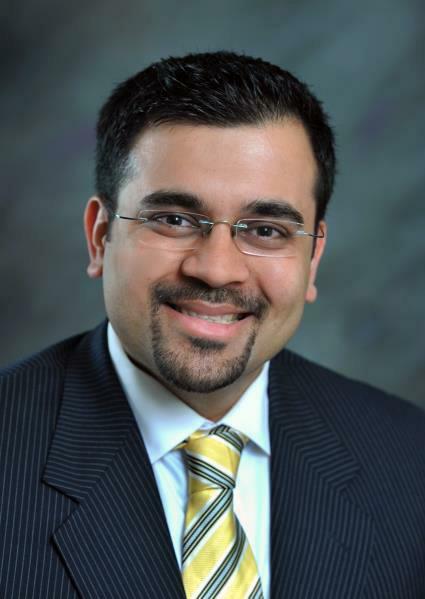 At Deloitte, Sahil worked closely with C-Suite Executives (i.e. CEOs, CFOs, COOs) of large Asset Management firms, including the likes of Goldman Sachs, Credit Suisse, Deutsche Bank, Bridgewater Associates, American Express, AIG, Citi bank, and many more on business strategy, operations improvement and investment management; aspects of the private wealth management industry grew fonder to him. Deloitte's promotion mandate presented Sahil an opportunity to pursue an MBA at The Wharton School. At Wharton, Sahil undertook various Finance courses, as well as, an independent research project with Prof. Victor Hallman (a well-reputed and world renowned expert in the field of Financial Planning & Wealth Management). With the help of Prof. Hallman, Sahil was able to master various personal finance topics, including education planning, insurance planning, tax planning, investment planning, retirement planning, and estate planning. Geared with an arsenal of knowledge, Sahil decided to pursue the CFP certificate, and under the challenge status, was able to study and take and pass the CFP exam in less than three weeks. Having been in the United States for a little over 10 years, Sahil quickly realized that there were thousands, if not millions of immigrants, that needed guidance as it related to their personal finances. On nights and weekends, he often found himself poring over financial planning literature, and helping friends & family with their financial questions. He longed to serve a broader immigrant audience, on a more national scale, and that's when MYRA Wealth was born! Outside of MYRA Wealth, Sahil is an avid cricket fan, and enjoys traveling the world with his wife (Ekta) and daughter (Myra). Fun Fact: Sahil & Ekta were cast on HGTV’s House Hunters: ‘Buying on a Budget in Manhattan’ episode.